Sable fur is certainly luxury material, the cost of which is high. Therefore sable fur care should be carried out methodically and with all available expert advice. This includes the proper storage of sable and all furs in a dark room or closet for the entire summer and spring seasons when they are not worn.It is highly recommended taking storing sable furs in a specialized fur refrigerator, where the right humidity and temperature is kept at all times. Before storing a sable fur coat for transport in any case or bag, please check the case thoroughly for paint or dye residue. Also, when wearing any expensive fur it is best to avoid carrying shoulder bags. Clutches are preferred and they are in fashion! Finally getting a sable fur dirty should be no worry. Always trust an expert fur dry cleaner to keep your fur clean and intact. 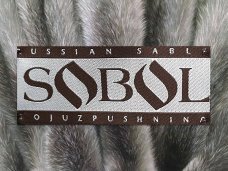 Please login to see the latest ACTIVE FURS collection of sable furs, sable coats, sable jackets, vest and capes made from the finest sable fur skins.